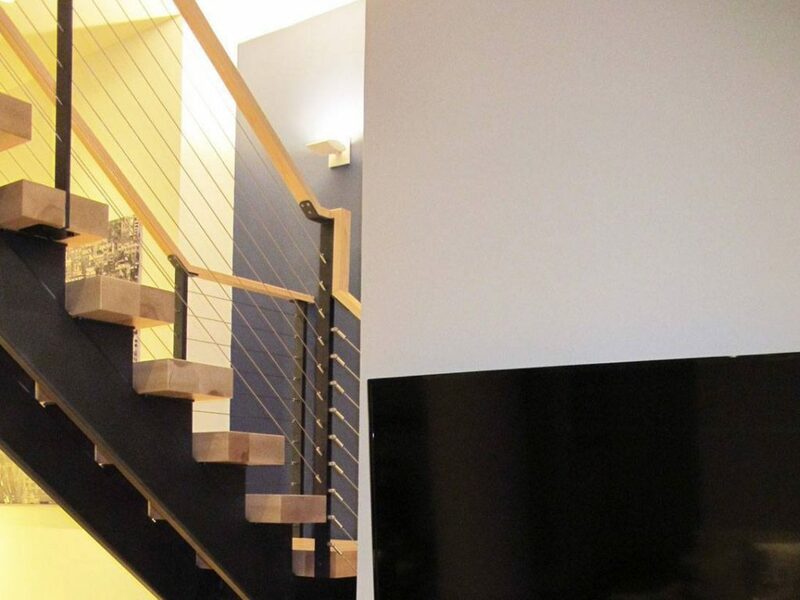 Material and Finish: "Raven Black" powder-coated steel posts with maple wood top rail. Our clients in Brooklyn, New York wanted to combine the two floors of their condo into one large open-concept living space. To achieve a modern, minimalist look, our client asked for an open-riser staircase with cable railing. 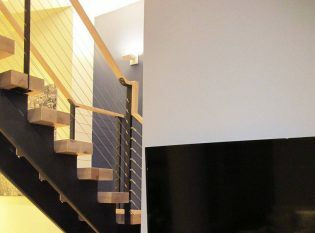 We designed a steel double-stringer staircase with three-inch thick maple treads that conceal the stair’s mounting hardware. 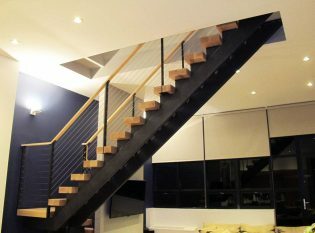 For the railing, we used our Ithaca Style design for the “Raven Black” powder-coated steel posts and maple for the wood top rail.